Today we’d like to introduce you to Julie Lieberman and Caryn Jacobs. 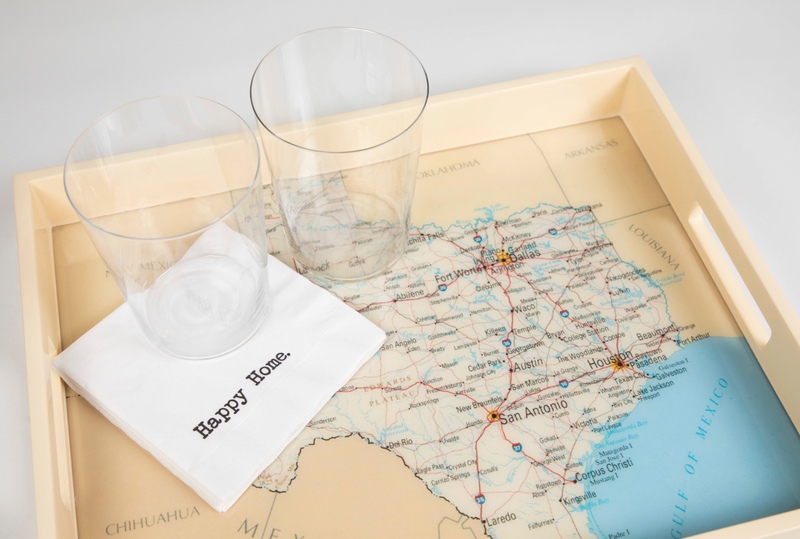 ROX is a Dallas based home decor business, creating one of a kind home decor products including boxes, risers, napkin rings, trays and more. Each ROX piece is made by hand and no two pieces are alike. 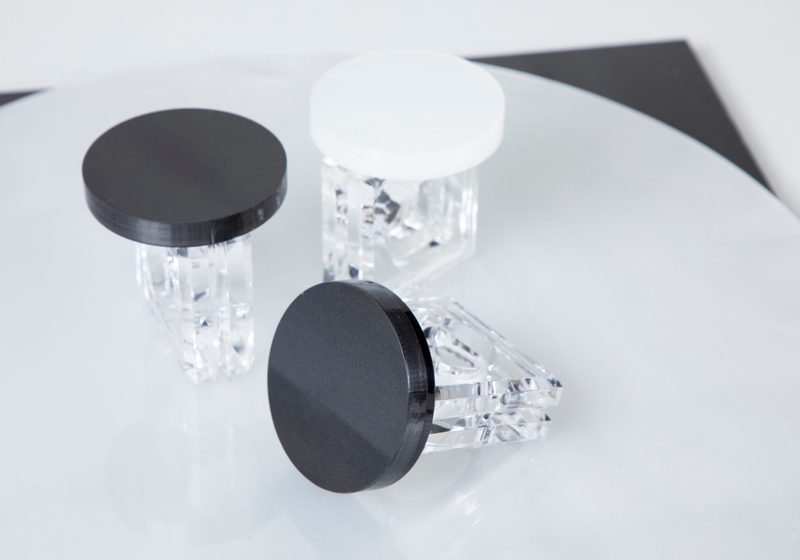 The designs are made from manmade supplies such as lacquer and acrylic which are then often paired with items found only in nature, such as quartz and amethyst. Their pieces are currently found in more than forty upscale stores across the country including Bergdorf Goodman (NYC), Amen Wardy (Aspen), Neiman Marcus (Texas) among others. 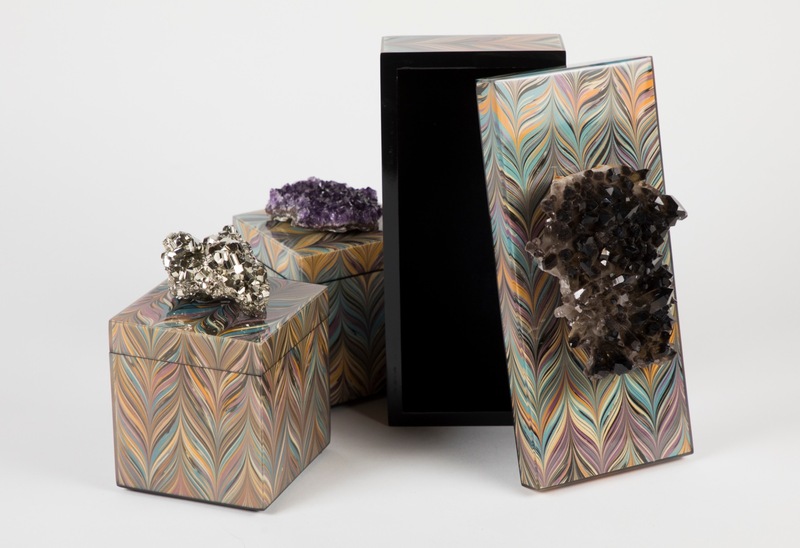 ROX began from a passion and love of rocks, crystals, and shells that both of them shared beginning from their childhood. 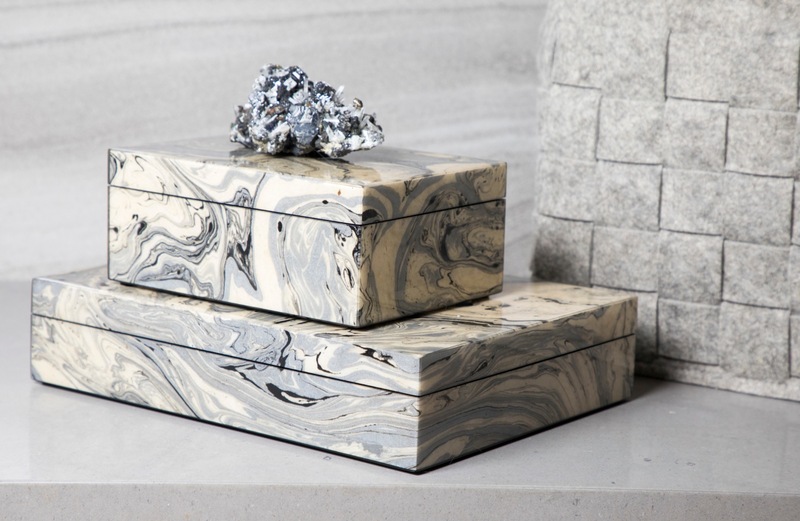 They created a few samples of lacquer and acrylic boxes and sold them at a small trunk show in Dallas. One of their pieces caught the eye of a buyer from a large well-known store. They created a logo, packaging, and SKU’s in a matter of weeks to get the order. From there, they began designing fabulous decor for boutiques all over the US and Canada. Being mainly a wholesale company there are countless struggles we have had to endure along the way. So much thought and creativity go into making and designing all of our line from the designs and colors we choose to the stones we buy. ROX has come along way since it’s inception in 2014. It began with acrylic and lacquer boxes and now consists of napkin rings, floating ROX, trays, and frames. We work with mostly high-end stores and our buyers have very high expectations. If a store isn’t selling a certain color way we work with them to switch products. We also took it upon ourselves to set up our own e commerce website! This was a huge undertaking and there were many bumps along the way. We are both mothers and have given so much to our children by showing them that we could start our own business and make it a success. Who would have thought that two moms who met on a soccer field would have a product in the windows of Bergdorf Goodman in NYC! The advice I would give is to never give up on your dreams! We took a hobby and made a thriving business from it. If you can make money while doing something you love and are passionate about every day it doesn’t get much better than that. Alright – so let’s talk business. Tell us about ROX By CJ DESIGNS – what should we know? 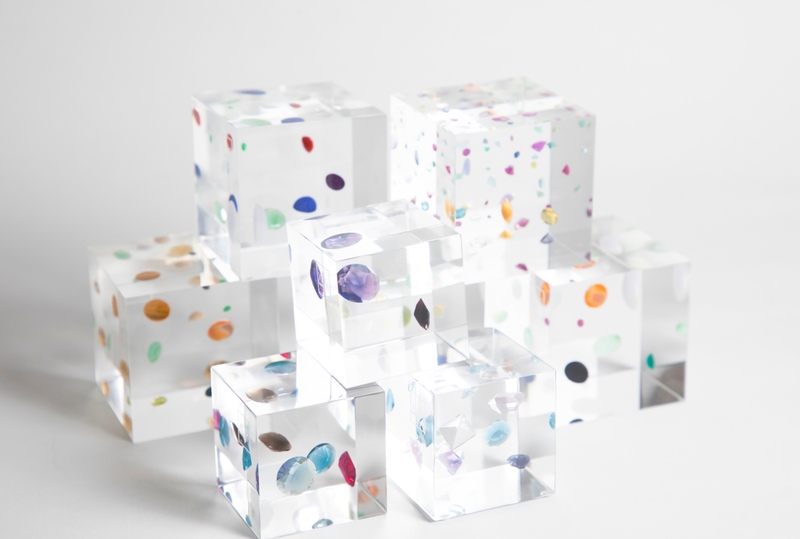 ROX is a small home decor line that incorporates acrylic and lacquer products that are functional and artistic additions to anyone’s home or office. 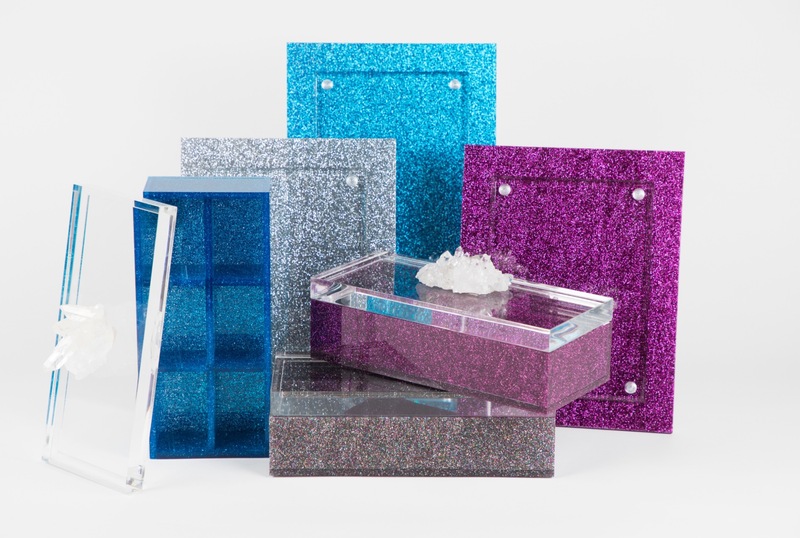 We are really known for our boxes that are adorned with gorgeous crystals but the line has evolved and we are finding that our customers love our picture frames, trays, etc. As a brand, we are most proud of being on the shelves of two of the biggest names in the retail business, Neiman Marcus, and Bergdorf Goodman. We pride ourselves on our quality and workmanship. Each piece is handmade by artisans and we carefully choose every crystal, colorway, and adornment ourselves. We do everything ourselves having no employees. This includes bookkeeping, inventory control, design, packing product for delivery, social media and much more. Julie – Much of my inspiration comes from my grandmother who was a pioneer of her time. She was a feminist before “feminist” was even a term. She believed in empowering women to become whatever they dreamed. I also worked in high school and college breaks for a beautiful clothing store in Houston. this was my first look into what being in the retail/ wholesale business was really like. It’s a grind and there’s nothing glamorous about it. People don’t realize how much hard work and time goes into this business. Lastly, my mother who would walk miles with me as a child on the beach to find shells and rocks that I loved. She even let me have a rock tumbler in my room that ran 24/7 to polish my stones so that we could enjoy them forever. Caryn – My mom lets me know that I could do anything I set my mind to. As a young girl, her parents did not believe a woman needed to go to college. So, she made sure to get a scholarship to further her education. She was a career woman and worked as a teacher throughout most of my childhood. In addition to a career focus, she instilled a love for crafts and creativity in me. We were always knitting, needlepoint or coming up with exciting projects to do with my friends – such as stuccoing our basement! During family trips, we scoured beaches looking for beautiful shells and coral that we brought home and used to decorate our garden. Little did I know, that I would someday use these skills to run ROX!